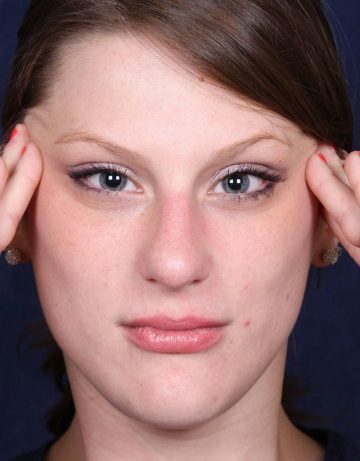 Have you ever used your hands to give yourself a facelift while looking in the mirror? It seems so easy. Just pull your skin upward and backward. Just a little tightening is all it would take to smooth those pesky jowls, get rid of that hanging neck wattle, and remove that extra skin. A simple little procedure is all it would take to reverse the years. And it can’t take much more than an hour, can it? Is it really that simple? Simulating a facelift by using your hands to pull the skin on your face in the mirror is simple, but is looking younger as simple as a quick procedure to tighten your face? Is this really how you looked when you were younger? 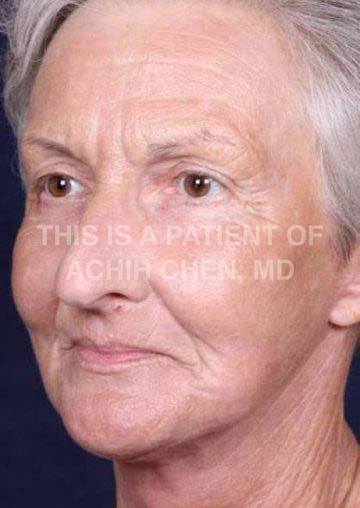 These are the types of questions Dr. Achih H. Chen addresses during facelift consultations at his metro-Augusta practice in Evans, where he sees women and men from cities like Atlanta and Aiken, GA, and Columbia and Charleston, SC. If you want to meet with Dr. Chen to discuss your plastic surgery concerns, request a consultation using the online form, or call us at (706) 210-2625 to schedule an appointment. If we closely examine photographs of ourselves when we were young, our faces were not tight or pulled. Our jawlines and necklines were smooth, but our faces also had the fullness of youth, especially in the mid-face and cheek areas. In addition to our smooth jawlines and necks and facial volume in the right places, we also had the even skin texture so defining of young faces. Overall, the most defining features of a youthful face are a smooth jawline and neckline, volume in the mid-face and cheek area, and smoothness and evenness of the skin texture. Just pulling our faces tighter, whether with our hands or through a quick facelift-type or other tightening procedure, can’t possibly restore all of our youthful features. At best, these procedures only restore a portion of our youthful features. In many cases these variations of facelift surgery can leave a partially rejuvenated look, or worse, a tight, pulled, operated appearance. 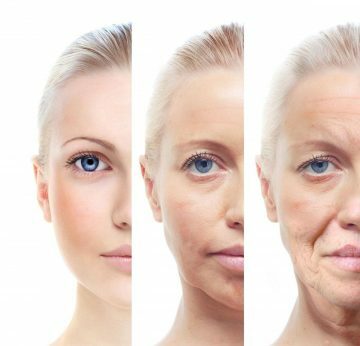 Dr. Achih H. Chen found in comparing thousands of youthful faces with aged faces that 3 main problems affect the aging face. The jawline and the neck sag resulting in jowls and a chin wattle; the middle portion of the face, often called the cheeks or mid-face, loses volume and deflates similar to a balloon losing air; and the smooth skin texture of youth changes to become irregular and cobblestone-like. In the minds of the public and surgeons alike, the go-to procedure to reverse the signs of the aging face has been a lifting and tightening procedure or some variation of the facelift. Consequently, a facelift-type of procedure is often used to address many parts of the aging face. 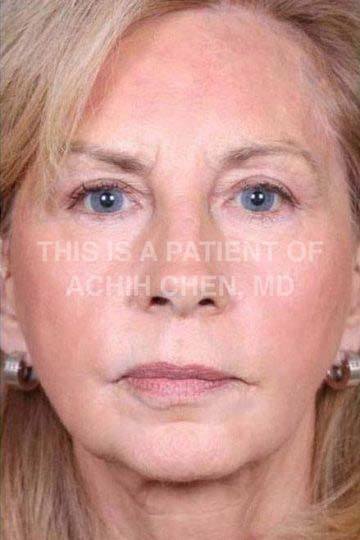 In his comparisons of youthful and aged faces, Dr. Chen found that in order to produce a more natural, unoperated youthful appearance, lifting and tightening should only be used to address the sagging of the jawline and neck. Tightening and pulling in other areas of the face can create a tight or windswept appearance. As a result, the Total Face® was developed to address the 3 telltale problems of the aging face. The Total Lift®, the Total VolumeLift®, and the Total LaserSmooth® address the 3 classic problems that distinguish the older-appearing face to restore the defining features of the youthful face: a smooth jawline and neckline, volume in the mid-face and cheek areas, and smooth and even skin texture. Together the synergy of these procedures make up the Total Face®, a procedure developed by Dr. Achih H. Chen and his team of surgeons at Georgia Regents University and Duke University. 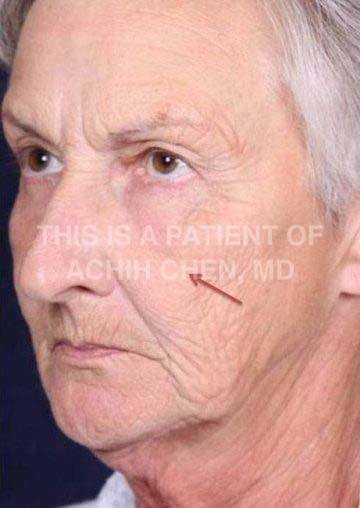 In combining decades of surgeon experience with research prestigiously chosen to be presented at the 2014 Scientific Meeting of the American Academy of Cosmetic Surgery, Dr. Chen has created a procedure that was not previously thought to be possible. The Total Face® Rejuvenation is a procedure where the whole is truly greater the sum of the parts. The Total Face® meticulously restores your youthful jawline and neckline, restores your youthful skin texture, and restores the lost youthful volume of your cheek and mid-face to give you back the most defining features of a youthful face for a Total Face® rejuvenation to help you look as young as you feel! We’re all too familiar with this portion of the aging process. In youth, the jawline is well defined and the neck is smooth. With time, the jowls form along the jawline, excess skin develops, and a “wattle” under the chin can develop. These are problems that are best addressed by lifting and tightening procedures, specifically, facelift procedures. The Total Face® Rejuvenation addresses jowls and the neck with a variation of the Deep Plane Facelift called the Total Lift®. A very under-recognized feature of the youthful face is volume. The youthful face is full with smooth transitions from one facial area to another. With time, there is loss of volume, mainly due to loss of fat. The loss of volume is most prominent in the mid-face region, the area of the face that lies between the corner of the eyes and the corner of the mouth. This is often called the cheek area. As the mid-face loses volume the overlying skin sags. 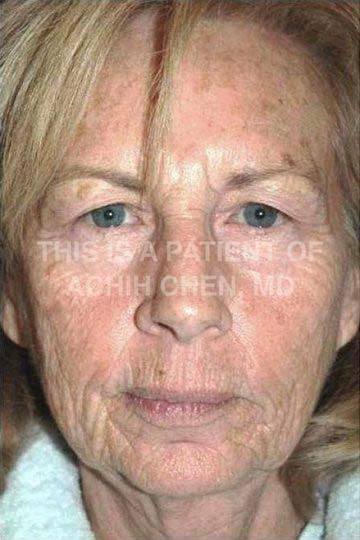 This sagging skin causes the nasolabial folds (the parentheses or the facial crease running from the corner of the nose to the corner of the mouth) to appear more deepened. This deflation effect is very similar to loss of air in a balloon. As the balloon deflates, it sags. Return of volume causes a lifting effect without actual tightening. This is an ideal approach for rejuvenation of the mid-face region as the youthful mid-face is not tight or taut-appearing. The Total VolumeLift® was developed with this in mind. This state-of-the-art technique lifts through volume, but does not create a tight surgical look. Although conventional thought is that tightening is a great method of rejuvenating the entire face, tightening of the mid-face region causes the mid-face to flatten and widen. You can simulate this by putting your fingers along your temples and pulling upward and backwards. As you’ll notice, this doesn’t simulate the youthful face. The Total VolumeLift® restores volume for a natural, youthful appearance as it restores one of the key elements lost in the aging face. Over time, the smooth skin of the youthful face begins to form fine lines that often start in the lower eyelid region or around the mouth. These fine lines can progress to a cobblestone texture with pigment irregularities. Fair or light-colored skin is more prone to these changes, but these skin changes can often be accelerated with sun exposure and smoking. Tightening, lifting or re-volumizing may seem to be able to address these changes through “stretching” of the skin, but over the long term, even unnaturally, surgically over-tightened skin relaxes. Lasting, long-term rejuvenation of the skin can only be achieved through changing the texture. The Total LaserSmooth® was developed to remove the damaged, cobblestone textured, outer layers of skin for a smooth, youthful-appearing face. After more than a decade in the development, The Georgia Center for Facial Plastic Surgery and Dr. Achih H. Chen are proud to announce the Total Face®, a group of techniques that, together, completely change conventional thinking about facial rejuvenation. Unlike previously and heavily advertised trademarked facelifts or other facial tightening procedures, the Total Face® uses re-volumizing where volume is lost, lifting where there is sagging, and smoothing where skin texture is cobblestone-like for a complete or Total Face® rejuvenation.